Over time, your bathtub can lose its original beauty and look sad and lousy. You have scrubbed it and even if how hard you try, or what type of cleaning solutions you use, your bathtub still looks messy. 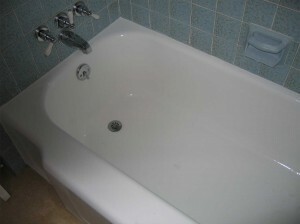 Bathtubs easily attract mildew, grime and soap scum. If its finish is gone, cleaning it will seem like a hopeless mission. And while you can easily think of getting a new one, bathtub refinishing can be a cost-effective solution. This procedure is the way to go to restore your bathtub’s clean and shiny finish. Below are some of the reasons to consider refinishing your bathtub instead of replacing it. A bathtub replacement can cost you up to $5,000 to cover parts and labor. However, bathtub refinishing allows you to renew your tub’s current structure and keep your bathroom project within your budget. With refinishing, you get your bathroom update at a fraction of the cost. Demolitions can be a messy, difficult and exhausting work especially if you choose to do it yourself. Plus, removing old bathtubs can be difficult. With tub refinishing, demolition is not a part of the process. 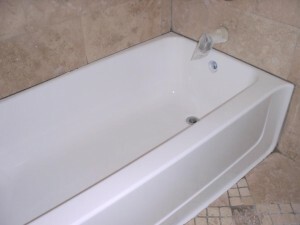 DFW Fort Worth Tub Pros make use of your current tub, repair it and refinish it to look like new. Often, they may be able to complete the project in just one day or less. Apart from restoring your tub’s attractive look, refinishing also restores its durability. When applied properly, epoxy paint and body filler create a tough surface which can last for many years. Refinished tubs are capable of holding their own when pitted against brand-new ones, especially those that are made from acrylic and fiberglass. Such materials can pick up stains quickly after flaws are made on the upper surface. There is no need to carry out a big bathroom renovation if you can just improve the area’s bones and tub. For a cost-effective update, go for a contemporary finish that can transform your white tile into a pink, classic tile tub that can serve you for a lot of years. Cleaning a refinished tub is as easy as the new one with the use of the same techniques and products. You just have to wipe down the tub after you use it to avoid the formation of stains. Ensure bathroom products are stored on dedicated shelves instead of the tub’s side. You will need a lightly abrasive cleaning product for scouring the surface of the tub and wiping it down to eliminate any grime, mildew and mineral deposits. You need to do this every week. The bathtub replacement involves can take some serious time. You will be ripping out your tub, looking for an area to dispose of it, searching and installing the new one and ensuring plumbing is carried out properly. Such process may take days or weeks. But, a tub refinishing carried by Dallas Tub Pros takes just hours and there is even no need for you to leave your home.